Chisos: A Native American word meaning “ghost” or “spirit,” may derive from the Castilian hechizos (“enchantment”). 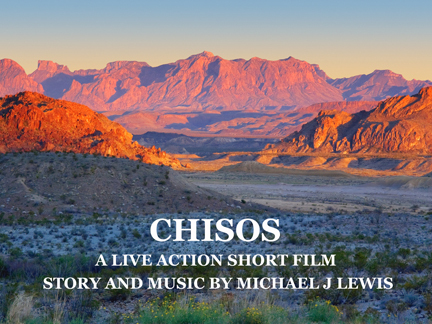 CHISOS is a live action short film with story and music written by acclaimed composer Michael J. Lewis, best known for his outstanding musical scores to such films as THE MADWOMAN OF CHAILLOT, THEATRE OF BLOOD, and THE MEDUSA TOUCH. It’s been eighteen years since Lewis’ elegant orchestral melodies have graced the silver screen, but he’s back with a new and very personal project – one that began as a score without a film and is now emerging into a compelling short fantasy film in its own right. Michael J. Lewis’ CHISOS is a short narrative film with no dialogue; photography and performance – and, of course, music – will carry the story from start to finish. With the project’s script and music already completed, Lewis is now seeking funds to finish the project. He has launched an Indiegogo funding site and is hoping to attract independent funding pledges to raise the $30,000 to complete the production and post-production phases that will bring CHISOS to completion. 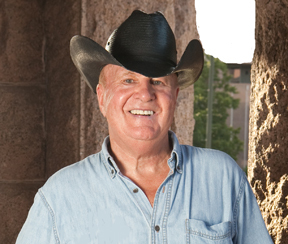 “Kickstarter and Indiegogo have been invaluable tools for smaller film makers,” Lewis said. “Many mavericks get by on shoestring budgets. This project is drawing a lot of attention and talented folk are offering to work with me at a reduced rate. But they have to be paid, equipment needs to be rented, cast and crew need to be fed, watered and housed out in the desert hundreds of miles from base. Above all, the Academy calls for excellence in originality, entertainment and production quality. I intend to deliver but I need help. Pruned to a minimum, the budget for production and post is $35,000. Filming is scheduled for the second half of May to coincide with the full moon.